I lay wide awake and thought about Charlotte’s Web. How the spider spun webs for the pig to help him out. I chuckled to myself and thought how ironic it was that I was the pig and the spider spun webs for me. Except it was the same message every night. It was one word. Death. 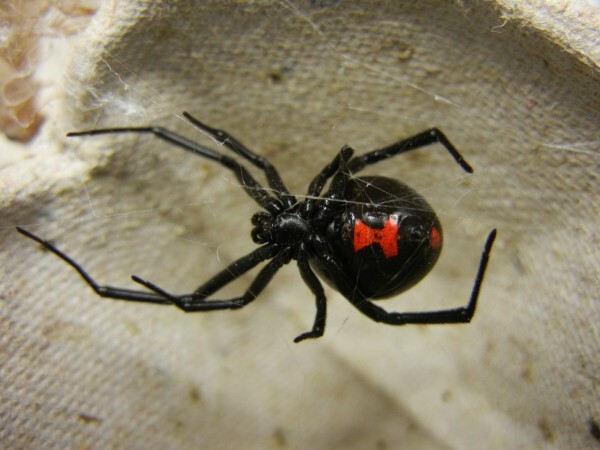 I assume it was a black widow because of the shiny black coat and a red hourglass shape on the bottom of the abdomen. I got up at dawn to find the same message hanging in the doorway when I opened the door. No matter how many times I took it down, it just wouldn’t go away. I took the broom and swatted the web down. I turned to put my shoes on to head to work and when I was walking towards the door I stopped and let out a shaky breath. Sure enough, the black widow was already working on the broken web again. I watched as it twisted and turned, legs moving to weave the silky strands together again to create the same message again. A little of my sanity slipped and I took the broom and whacked the spider down to the ground and smashed it with the broom. I even heard a crunch. I lifted the broom, about to sigh in relief for the nightmare to be over, but when I looked down at the mangled specie, something bizarre was happening. The pieces of the body were attaching themselves back together again! The ugly creature that has been haunting me was coming back to life right before my eyes. I lost any rational thought and went to the dying fire from the night before and relit it with a fresh match. As the fire blazed to its former glory, I broke the already weak leg off from one of the kitchen chairs and put it in the fire. I set the flaming piece of wood on the floor. All I could think was that it wasn’t burning fast enough. I raced to the shed and got some gasoline that I had bought earlier in the season to kill pests. This spider is the queen of the pests! I threw gasoline all around in the house and the fire quickly took. I ran outside to safety as I watched it burn in satisfying glee. Later when the fire died out I thought that I could finally sleep in peace. That is, until I saw what remained of my home. Two beams that supported the frame still stood, and hanging between them was a web with the word Death clearly inscribed. I rushed to the poles and broke them down in a panicked state. Where was the black widow? How did it survive? Why is it driving me mad! I sat down on a log; exhausted. I felt a shiver run down my spine. A feeling of someone watching me. Then I felt a pinprick on my neck and it went downhill quickly from there. I started feeling aches in my muscles that then cramped up. I started sweating profusely and then vomited. I fell to the ground, in my own vomit, due to having a rather difficult time breathing. As I was taking short breaths, I saw the Black Widow was resting on its web, with a message written. It didn’t say Death anymore. It said Dead. Kailee Jurnak is a junior at Clayton A. Bouton High School.